Whatever Linux distribution you are using, you are able to easily customize your system icons to whatever theme you want. Here in Linux Mint, I shall show you how to change your icon theme in a few simple steps. Firstly, head over to Gnome-Look and take a look under the "Icons" section. These icon packs are pretty much universal and would work on all systems. Once you have downloaded a theme, uncompress it and open up your home directory. In the Other Settings tab, you should see "Icon theme"
This is how you can simply change your icon theme with these few steps. Oh the customizing doesn't stop there! 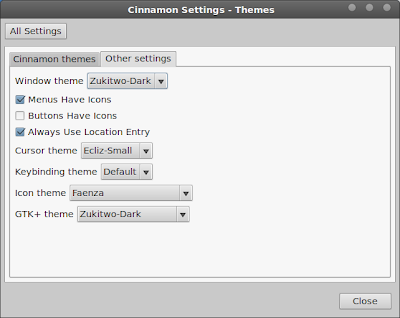 Next time I will be talking about how you can change your cursor theme in Linux Mint.